I was first smitten by Ferraris when I was around 9 years old. I was riding through a swanky part of Houston and spied a red 1989 Ferrari Testarossa. That car blew my mind. I never realized that vehicles could be so beautiful, elegant, and fast. From that point on, I dreamed of owning my own Ferrari. It’s been over 30 years since I saw that first Ferrari and I’m still obsessed. However, I’ve come to accept that I will probably never own one. But I did the next best thing – I drove one. 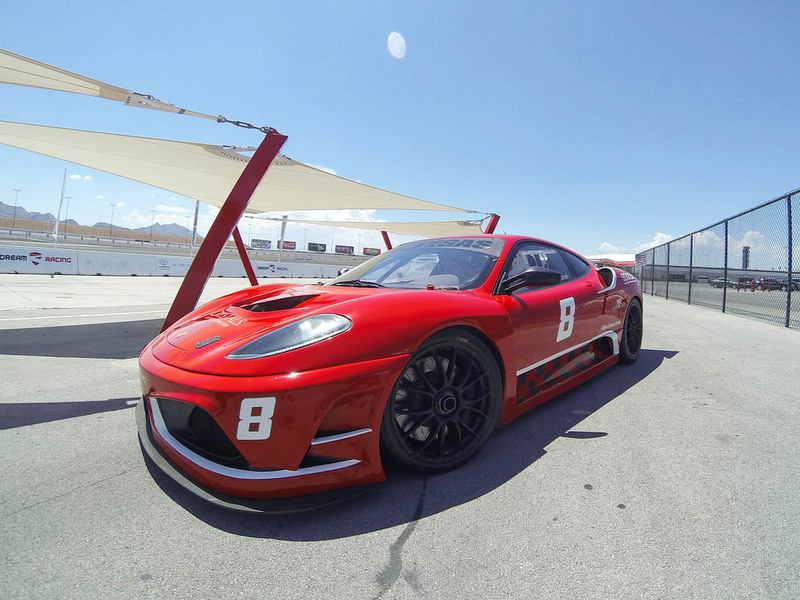 I visited Dream Racing in Las Vegas and got behind the wheel of a Ferrari F430 GT. Saying it was one of the most awesome experiences of my life would be an understatement. After signing several waivers, I was whisked into a training room to watch a video about the Ferrari F430 GT and how to handle it properly. The owner came in afterwards to share a few more driving instructions and safety procedures. After the video, I spent a few more minutes in a racing simulator. Finally, I had to listen to one last safety briefing after putting on the racing suit. 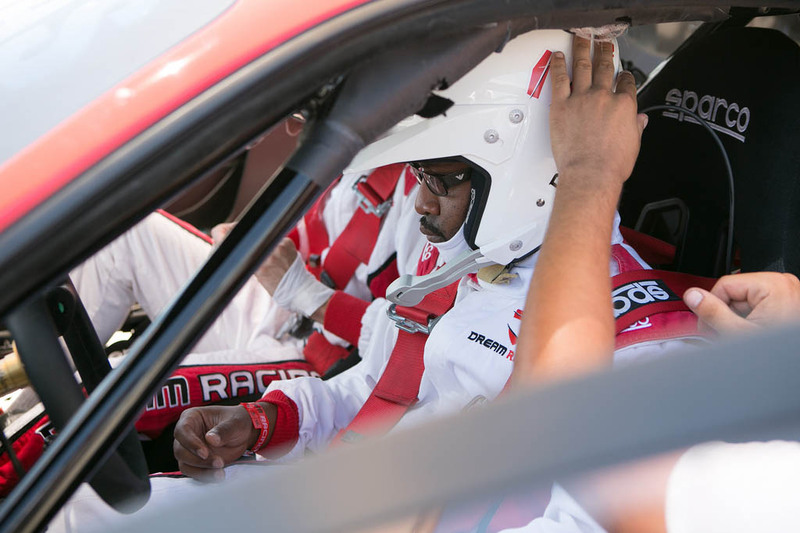 While I waited for my turn to drive, I talked to the professional race car drivers. These guys had driven this track hundreds of times and were full of useful advice. I listened to what they had to say and made mental notes to apply during my laps. My heart started to race as one of the pro drivers led me to the car. I donned my helmet while one of the technicians strapped me to the seat. “Can you hear me?” Asked the pro through the radio embedded in the helmet. “Are you ready to have some fun?” he asked. “I sure am,” I said. I pressed the button to start the V8 engine and I felt the roar resonate through my body. I placed the car into gear with the paddle shifters, which made shifting gears easy, and entered the track. Although the Ferrari’s steering was tight and responsive, I was a bit tentative as I entered the first curve, but the pro told me to trust the car and trust my training. It took me a full lap before I heeded to his advice. Each curve required me to make a different adjustment. Once when I went into a curve too fast, I lost control of the car and ended up in the gravel. I laughed nervously and drove the car back on the track. After another lap, I finally relaxed and I figured out how to properly enter a curve and remain on the race line. I grew more comfortable knowing that the Ferrari F430 GT would remain firmly planted on the ground as I made the turns. My biggest thrills came on the straight-a-ways. The car goes from 0 to 60 in less than 3 seconds. The pro told me to floor it and I did. I reached speeds in excess of 170 mph and it felt great. Driving that Ferrari F430 GT was an incredible experience. The roar of the engine, the feel of the G-force as I whipped around the curves, and the smell of the rubber on the asphalt are forever locked in my memory. It was an adrenaline rush like never before. I can’t wait to do it again.